Are you a Firespiral Slings fan? Or are you new to them and want to try their woven wraps to see what the hype is about? 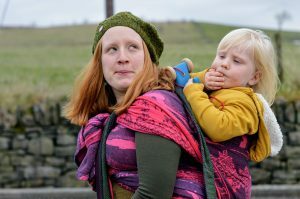 It’s A Sling Thing are delighted to provide a way to hire one of all of Firespiral’s pre-released, and in-stock woven wraps, as well as some of their older classic designs, for you to Try Before You Buy! When you hire you will be provided with a code for £20 off your purchase of any wrap from Firespiral Slings directly. All of these will be available for you to hire as you wish, however if you become a member of The Wrap Club you will also get the opportunity to try pre-release wraps before they are available for general hire. We are also adding the option to have a Firespiral Only subscription, just tell us in the Wrap Club preferences form when you subscribe. The Firespiral wraps will change over time as new wraps are released so we hope that you will get the opportunity to try a great range of slings from this amazing company!